~ Just a girl with a lot to say! 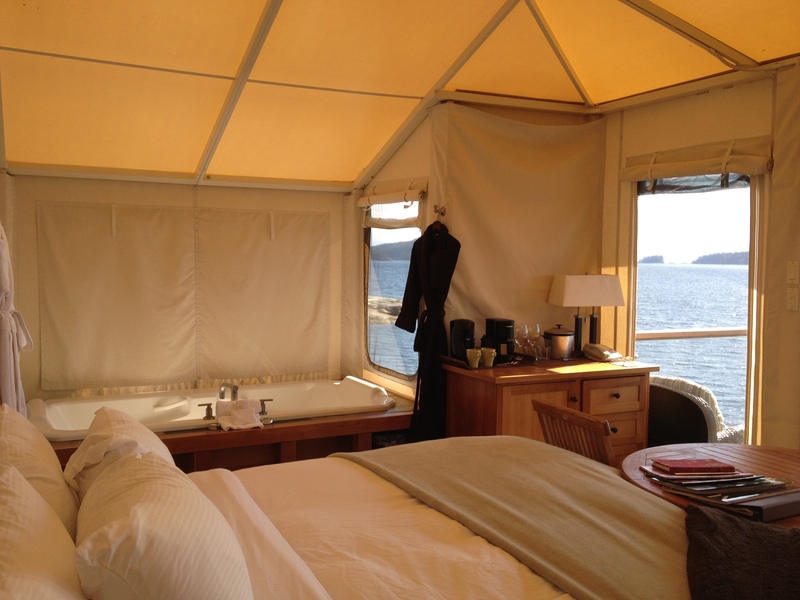 Glamping might be a new term for many of you. Every time I told someone I was going glamping I got an inquisitive stare. I would tell them it was a tent on the ocean and they would answer me with “I don’t like camping”. Well glamping is NOT camping I would explain. You will see what I mean from the pictures below. 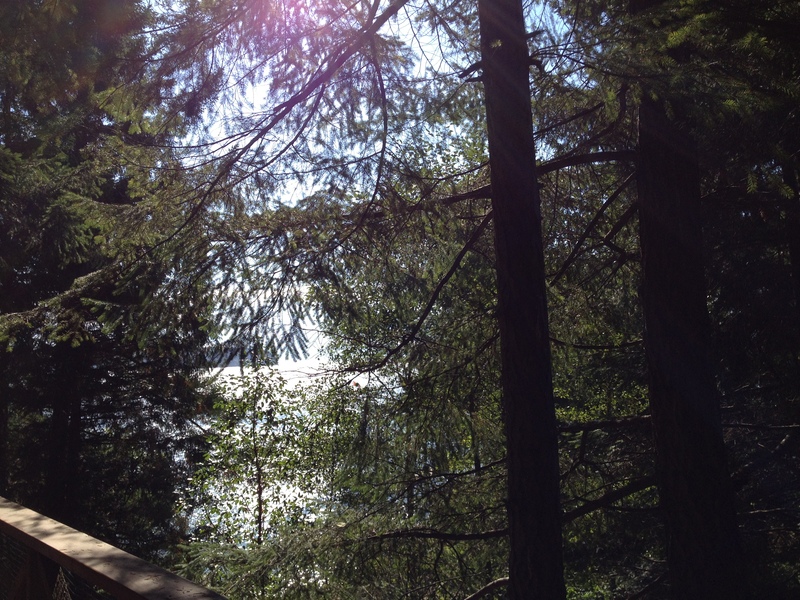 We spent two nights at Rockwater Secret Cove on the Sunshine Coast of BC. On the path to tent 60. You must go and stay in one of the tents. Once our tent was ready we headed down the staircase to tent 60 which was right on the ocean. I thought I knew what to expect but was shocked when we opened the door. Take a look at the pictures. 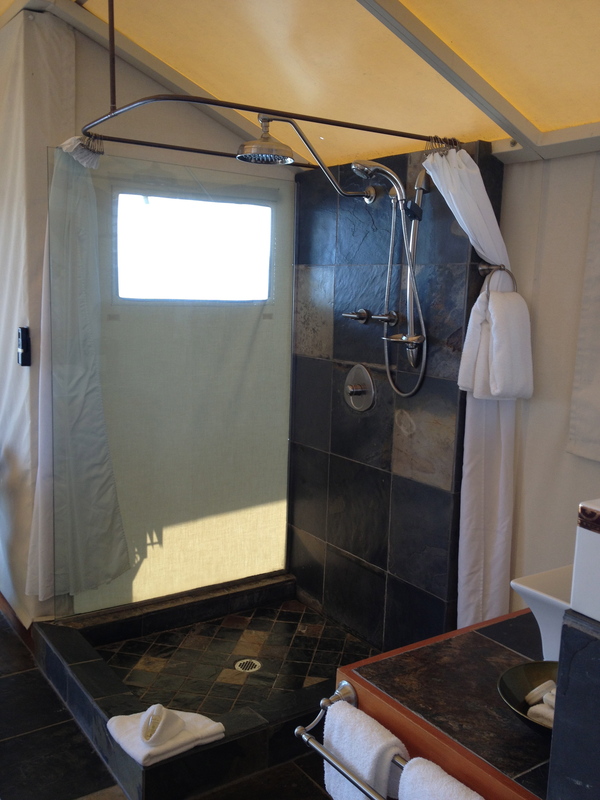 Our tent had heated floors, a two person jacuzzi tub, a rain shower head with a view and a king size bed. It was heaven. 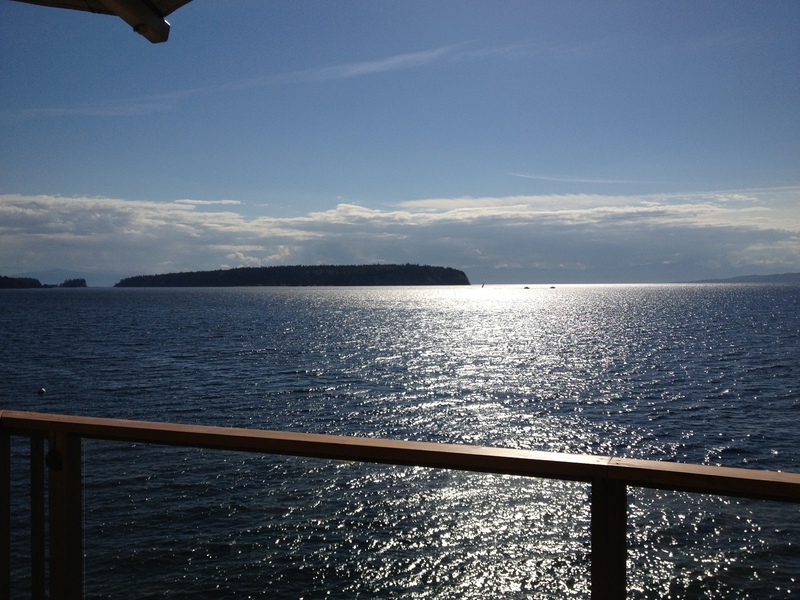 We sat out on our deck looking at the ocean. We saw seals, birds, loon. The orca still eludes me in the wild but now I have an excuse to go back! We kayaked to Smuggler’s Cove – stunning! 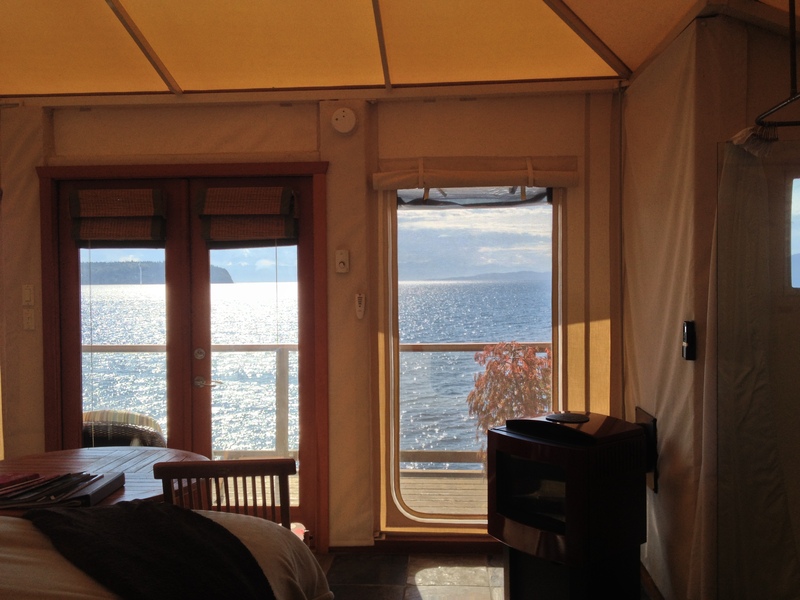 We had massages in a tent by the ocean – bliss! I had two soaks in that jacuzzi tub. It was an amazing 48 hours. I can’t wait to go back and enjoy the tents again. This is the best place on earth for rest, relaxation and romance.